Bob Archibald remembers the phone call as though it happened yesterday, not almost 34 years ago. Archibald, then working at the Bureau of Labor Statistics in Washington, D.C., had just walked out of a job interview for a contract position at William & Mary. He spied a pay phone, fished a coin or two from his pocket, and called home. "I told my wife, 'It's too good to be true,' " he said recently. The same might be said for Archibald's career and service to the College, which honored that devotion by presenting the economics professor with the Thomas Jefferson Award during Saturday's Charter Day ceremonies. The award, among the most prestigious at W&M, was established in 1963. It recognizes a person who has demonstrated a deep devotion and outstanding service to the College and whose life, character and influence on the College exemplify the principles of Thomas Jefferson. Reading the recommendations from those who have long admired Archibald's work make it seem that he and The Jefferson were made for each other. Among dozens of other distinctions, he was the first faculty member to be appointed to serve as the faculty representative to the Board of Visitors. "Bob's leadership is shaped by his commitment to William & Mary - to making it the best it can be," said Kate Slevin, chancellor professor of sociology and 2007 Jefferson Award winner. "Bob is more than willing to give generously of his time and talents; he cares deeply about the common good . . . He has earned (this award) the hard way - through endless contributions to the College on endless fronts." Added Robert E. Welsh, chancellor professor of physics emeritus: "When a skilled, tactful, effective person is sought for an important position within the faculty, Dr. Archibald's name is virtually always mentioned." Administratively, Archibald served two terms as the chair of the Department of Economics, and four years as the director of the Thomas Jefferson Program in Public Policy. By his own count, Archibald has served on 26 faculty governance committees since 1977. He is the only faculty member ever elected twice to be the president of the Faculty Assembly, although he served only one term as president because he stepped forward to serve as dean when needed. He also served on the search committees for the Dean of the Faculty of Arts and Sciences (1982-83), Dean of Graduate Studies (1985-86), Business School Dean (1989-90 and 1997-98), and Associate Provost for Enrollment (2005). He has chaired several committees, including the Faculty Research Committee, the Academic Computer Advisory Committee, and the Ad Hoc Committee on the Allocation of Overhead. He has been further involved in everything from the Ad Hoc Long range Planning Committee for Computing in 1980-81 to a three-year stint on the Athletic Policy Advisory Committee. For years he has camped out in the bleachers under the scoreboard at Zable Stadium when watching the Tribe football team. Archibald has provided "a truly remarkable breadth of leadership experience," according to colleague David H. Feldman. 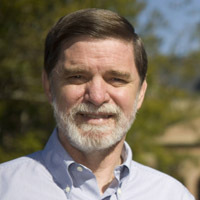 He and Archibald have co-authored a book analyzing the cost of college education that is scheduled for publication in late summer or early fall, 2010. "He has made significant and important contributions throughout his career at William & Mary," said Heather Macdonald, chancellor professor of geology. "Throughout, (he) has put the welfare of the College and its faculty and students first." Archibald says his most gratifying position was as interim dean to the faculty of Arts and Sciences during the 1996-97 academic year. His predecessor had left the College "abruptly," according to Professor of Economics William Hausman, and Archibald "stepped into a very difficult situation." "There wasn't much trust around, and I approached that year as one to keep the ship afloat and prepare it so that the next person could come in and be a successful dean," Archibald recalled. "I'd been a department chair, and you see how part of the College works. But as dean of faculty you see how the whole department of Arts and Sciences works. "I got an awful lot of help from lots of people, but I think we came out of that year feeling pretty good about the way things worked around here." Archibald preached the most basic intellectual principle imaginable - rational thought - to guide him and the College through what could have been a tumultuous year. "You have to approach people with a real sense that rational arguments can work," he said. "I tried to calm people down who were approaching things emotionally and said, 'We can deal with these on a rational basis.' That was the biggest, simplest principle, that we wanted to make our decisions after rational arguments had been heard -- not on the basis of emotion." One trait that his fellow faculty and friends universally highlight is Archibald's unflagging willingness to seek collaboration with others, or to be the subject of others' collaborative invitations. His co-authors have included at least seven current and past W&M colleagues. "My father was a Presbyterian minister and you don't go into that occupation to make the big bucks. I'm sure that had some influence on my sense of duty to the whole," Archibald explained. "But I've enjoyed what I've done. There aren't lots of other things I'd rather do that I didn't do because I was dean to the faculty or something like that. "I wouldn't say I'm this terribly selfless soul who goes out and gets beat up so others don't have to." "All of my ideas are good until I test them or test them on somebody else. It is very easy for an individual to talk himself or herself into thinking that their ideas are right, but if you know you've got to convince somebody else, it forces you to work harder. It also winnows out your bad ideas and sometimes (helps) you winnow out others' bad ideas." Typical of his humble approach to life, one evening shortly after he was informed that he'd won The Jefferson, he told his wife, Nancy, "I don't deserve this." "I told him that he certainly did," she said. "That's just his way. He knows it's a huge honor, and he's very pleased." Archibald said it isn't being singled out that makes the award so significant to him. Rather, it's being included in the company of previous awardees that resonates most deeply. "I know, or know of, almost everyone on the list of winners," he said, "and to be on that list is very gratifying."